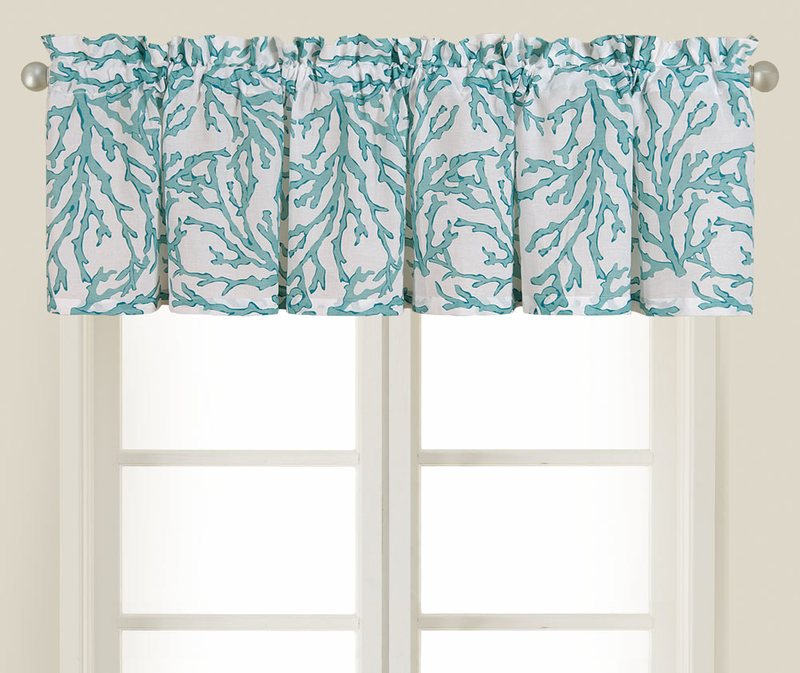 Give your windows coastal flair with the Coral Reef Valance - Aqua. This nautical valance is detailed with two-tone blue coral on a solid background. Ships from the manufacturer. Allow 1 to 2 weeks. For further items, we ask you to take a moment to explore our thorough collection of nautical valances at Bella Coastal Decor now.